Location, location, location! This 3 level, 3,914 sf town home is 1 block to the Gondola and sports views of Ajax and Shadow Mountain from the living room and main, top deck. 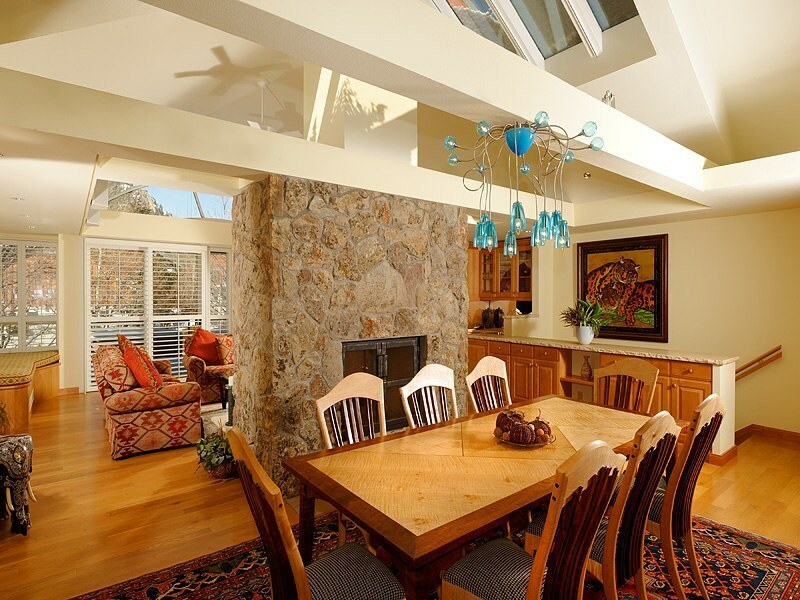 The top floor great room has high ceilings and plentiful windows, drawing the beautiful views inside. Ample granite counters, Viking and Sub-Zero appliances and a breakfast bar opens the kitchen to the dining area. An oversized, two-sided gas fireplace gently separate living from dining rooms. 3 of 4 ensuite bedrooms have marble baths. Office/TV or 4th bedroom also has a full bath. 4 underground parking spaces with storage built-ins and a private elevator complete the property perfectly.